The media has been creating a lot of scared parents as of late with the various recalls on toys made in China. Seems the Q & A divisions of these companies in China have been dropping the ball and contaminating the toys with lead paint. But toys, in general, could be the least of parental concern when it comes to lead poisoning. If you are thinking of buying a home in the Twin Cities that was built prior to 1978, than you should be given a copy of the EPA brochure “Protect Your Family from Lead in Your Home” or you can view a copy online. Reading the pamphlet and understanding the cause and effect of lead, can help prevent ingestion by children or yourself. 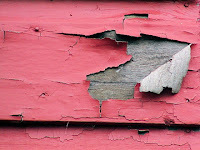 The EPA provides a checklist on how to check and determine if you have lead based paint in your home. It is also required that you sign a Lead Based Paint Disclosure when buying or selling a home built before 1978. A sample disclosure form is available on the EPA website. If your real estate agent fails to mention this requirement, get a new agent.